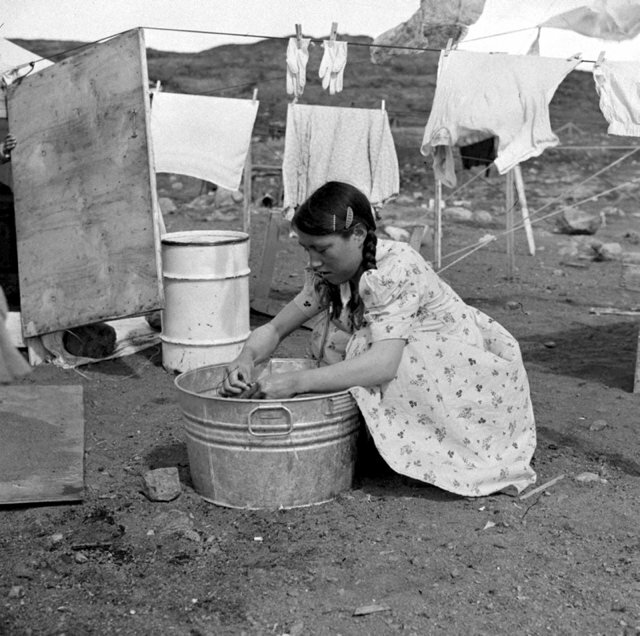 Inuk housewife [Okee Kunuk] washes clothes at summer tent construction campsite. New Apex Hill townsite at Frobisher Bay. Aug./56.